ASEAN Transport Ministers (ATM) Meeting, as the highest ASEAN transport body, shall set policy directions in the transport sector and discuss issues of common interest. 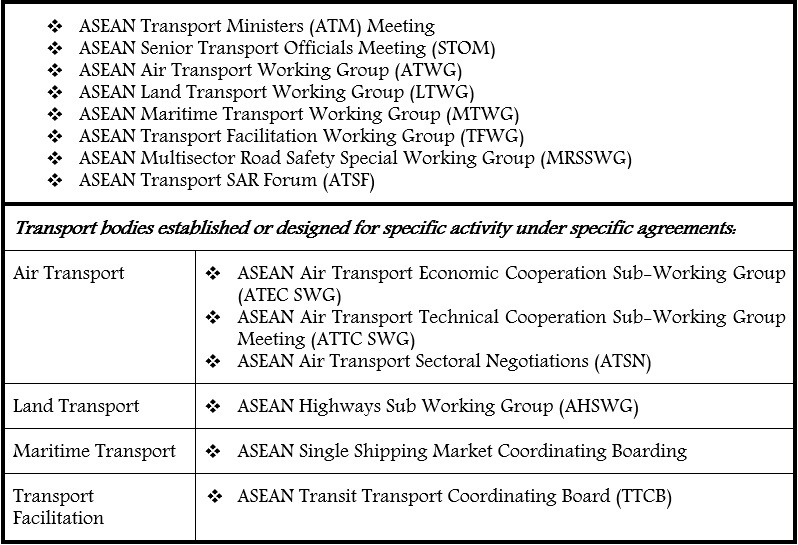 The ASEAN Senior Transport Officials Meeting, as the executive body, shall supervise, coordinate, and review programmes as well as directions set by ASEAN Transport Ministers. 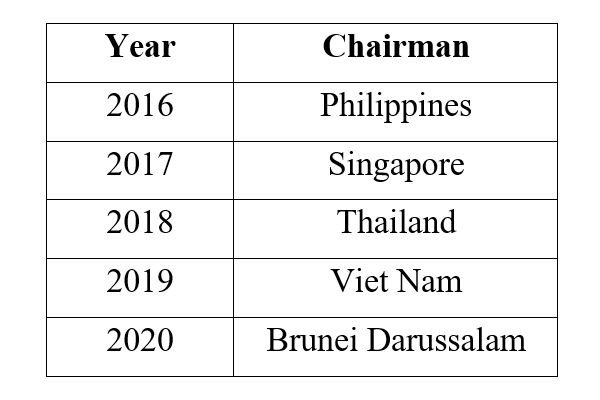 Chairmanship and Vice-Chairmanship of ATM-STOM, Working Groups and Sub-Working Groups, unless otherwise agreed by the concerned body, shall be on rotation basis or alphabetical order. Chairmanship of ATM and STOM shall be for a period of 1 year and chairmanship of Working Group shall be for a period of 2 years. 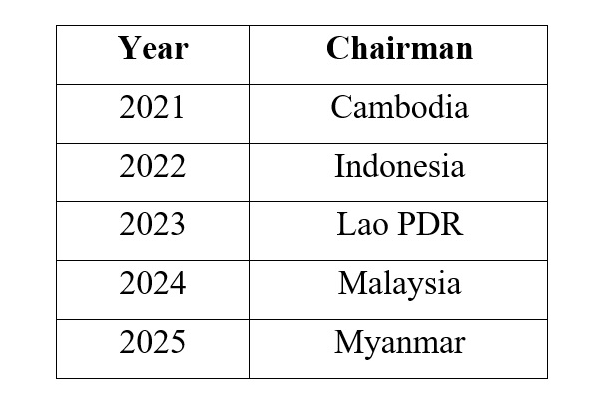 Vice-Chairman shall assume chairmanship of the respective meetings thereafter. The Member States assuming the chairmanship of the ATM-STOM, Working Group and Sub-Working Group shall be the host of the meetings, unless otherwise agreed by the concerned body.